We are pleased to announce the availability of the Gantry Tier Sheet Dispenser System. This new machine was custom-built to fulfill a packaging need. We are now offering this system because of the interest generated by other clients. A fulfillment company came to Emerald Automation to find a machine that would load bags of various products into standard RSC cases. 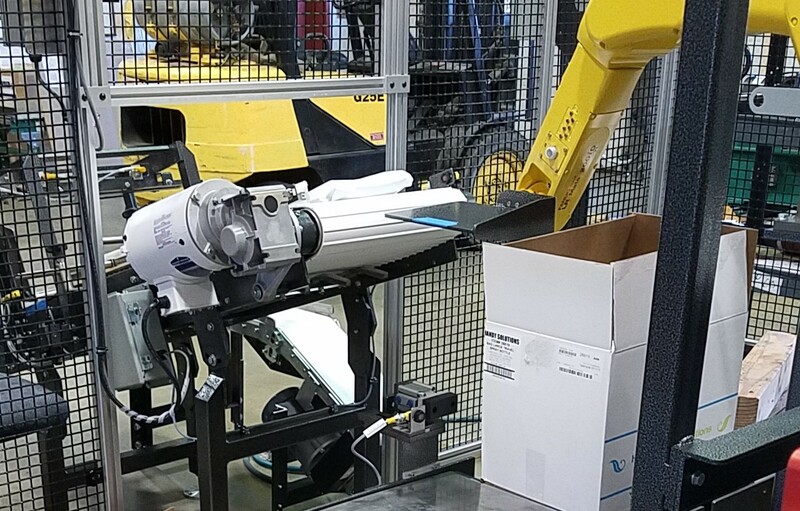 As a FANUC Authorized Integrator, we offered a solution to use a robot with a spatula as an end effector. After accepting filled and sealed bags, we grabbed the completed bag and laid it down on a bag checkweigher infeed. The bag is then checked for proper weight and transferred onto an incline conveyor up to the robot tool. When the bag reaches the top of the conveyor, the bag is deposited onto the spatula tool. 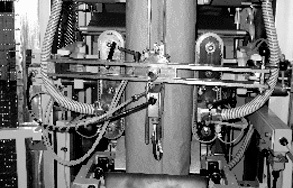 With the bag in place, the Robot moves, inserting the end arm and tool into the box, tilting the tool to leave the bag flat at one end of the case. On the next bag, the robot places the bag at the other end of the case, creating a 2 x 1 layer pattern. The process continues until the proper bag count is achieved. Depending on the order, they can load as little as 10 or up to 42 bags per case. The highly dynamic flexible packaging market has driven us as packaging equipment manufactures to design equipment with the flexibility to handle these changes. We have focused on: ease of changeover, tool-less changeovers, minimizing product-specific tooling, flexibility of multiple package configurations, a wider range of primary bag sizes, shapes and styles, as well as operator safety and overall equipment efficiency. 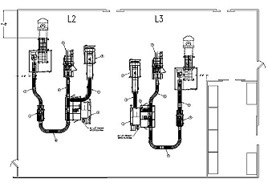 This specific application was designed with the flexibility to handle a wide range of primary package sizes and case configurations. We have integrated an empty case turning assembly at the infeed of our Dash-DP which is capable of turning 30+ cases per minute. This allows cases to be cycled through the equipment with the major or minor edge leading. 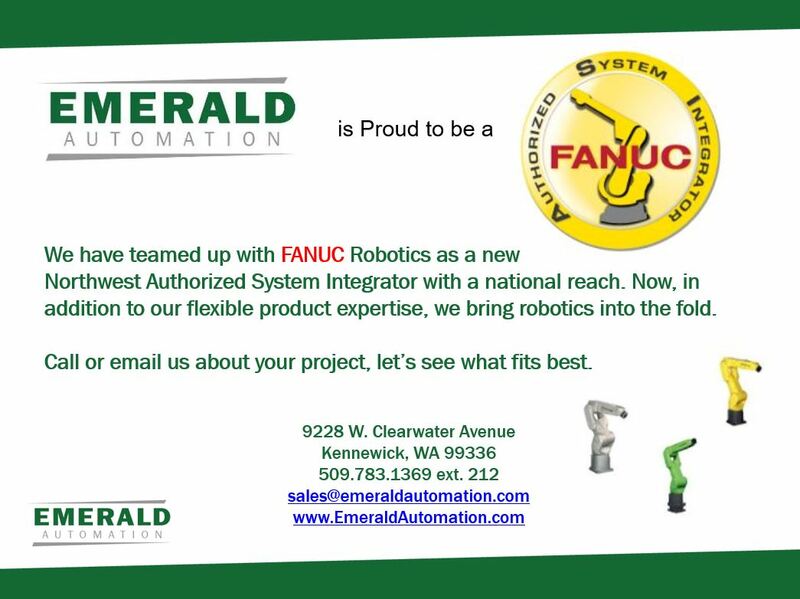 Emerald Automation provides controls and packaging solutions for local, domestic and international manufactures & processors. 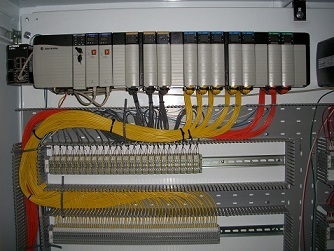 We have a unique combination of Controls and Packaging Engineering that is capable of taking on the most difficult applications. 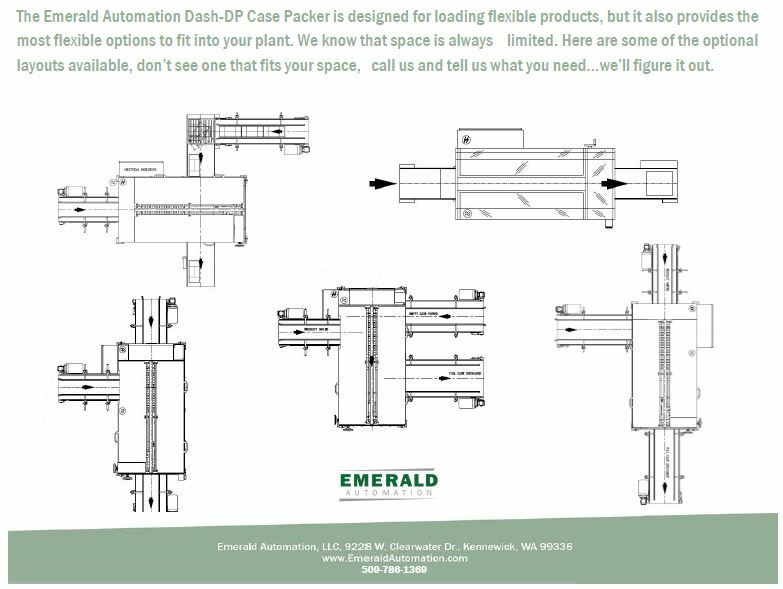 Emerald Automation also has a rich history in supplying standard and custom parts, including the entire SWF/Dyna-Pak line and many others. We offer a quick turnaround at a good price. We can even reverse engineer any part you want replaced. Our mission is to provide uncompromised Packaging Solutions & Support for today’s most demanding Packaging & Automation applications. 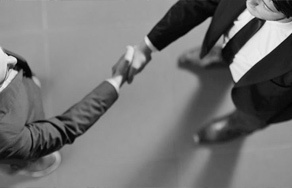 Exceptional results are accomplished by using simple, efficient, and cost effective methods.